Born in the Greenwich Village in New York City and raised in Jamaica, Queens; an alumnus of the New England Conservatory of Music, Najee was mentored by jazz giants Frank Foster and Jimmy Heath as well as classical maven and flutist Harold Jones of the New York Philharmonic. 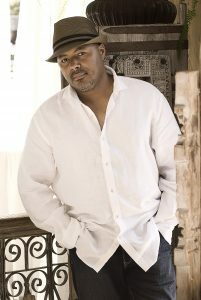 When he emerged onto the scene with his soulful R&B, and jazz fused sound, with songs such as “Najee’s Theme,” “Sweet Love” and “Betcha Don’t Know,” it was not long before his trademark soprano found a home at the top of the charts and he carved out his own unique niche in the musical landscape. “My first love was the tenor saxophone and flute,” confides Najee. “It was my brother Fareed who got me to play soprano saxophone. We would argue over me not wanting to play soprano. Then one day someone gave me a soprano saxophone and I played on his songs. That began my soprano saxophone career and little did I know then, that would be the instrument to make me popular. As I began to develop on my instrument, John Coltrane, Charlie Parker, Yusef Lateef, Grover Washington Jr. and Hubert Laws on flute were some of the artists that inspired me. As an industrious and hungry young musician, Najee had the good fortune of coming through Dr. Billy Taylor’s now legendary Jazzmobile program. While a student at the New England Conservatory (where both Najee and his brother attended) he studied saxophone performance with Joe Allard and performed with George Russell and Jaki Byard big bands. After his studies at the conservatory, Najee returned to New York in the early 80s and was lucky to land a gig with Chaka Khan along with his brother and guitarist Fareed (who is now his manager). In 1986, Najee’s Theme, was released and the saxophonist earned a slot on tour with singer Freddie Jackson. The following year, Day By Day was released, and in 1991, Tokyo Blue, which is one of Najee’s most successful and enduring recordings. Tokyo Blue (which was produced by Najee’s brother Fareed) and Day By Day both went Gold and led to two Soul Train Awards for Najee (Best Jazz Artist in 1991 and 1993). Just An Illusion came in 1992 and around this time he collaborated with such iconic figures as Quincy Jones and jazz greats Stanley Clarke, Billy Cobham and Larry Carlton which resulted in the album Live At The Greek. Following his collaborative live album, his next album Share My World was released in 1994 and was followed in 1995 by a critically acclaimed tribute to Stevie Wonder’s 1976 classic, Songs In The Key Of Life. The CD was produced by George Duke and features Herbie Hancock and Sheila E. among others. His CD Morning Tenderness was released in 1998 and went to #1 on the contemporary jazz charts. Also released the same year was The Best of Najee, and his tour with the USO for the troops in the Mediterranean: Spain and Turkey. 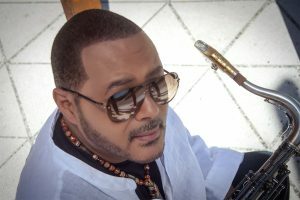 For Najee, the late ‘90s were marked by extraordinary international experiences, from performing at Nelson Mandela’s birthday celebration in South Africa to playing as a special guest of President Clinton at the White House at an event honoring President Jerry Rawlings of the Republic of Ghana. Najee also spent two years of touring (2001-2003) with Prince and appears on Prince’s albums “Rainbow Children” and “One Night Alone”. In 2003 Najee released Embrace featuring special guests Roy Ayers and BeBe Winans. My Point Of View was his follow up in 2005 featuring his good friend and vocalist Will Downing. In 2006, Najee won an NAACP Image Award for “Best Jazz Artist”. 2007’s Rising Sun, joined Najee with Phil Perry and Mind Over Matter, from 2009 paired Najee with singer Eric Benét. 2012 saw the release of Najee’s critically heralded The Smooth Side Of Soul. In 2013, Najee released his second recording for Shanachie Records, The Morning After – A Musical Journey; which earned him a NAACP Image Award Nomination for “Outstanding Jazz Album” (2014) and Soul Train Awards Nomination for “Best Contemporary Jazz Performance” (2014). In 2015, he released You, Me And Forever, an inspired collection of songs that charted #1 Most Added Song on Billboard and Smooth Jazz charts. Najee’s new offering Poetry In Motion (August 25, 2017), is dedicated to two ground-breaking musicians who Najee has had the distinction of working with – Prince and Al Jarreau. “Both artists in their own way have changed the culture of music forever,” shares the saxophonist. “Whenever I have worked with people of their caliber of artistry, I have always walked away with something that helps to shape my musical conversation.” Produced by Barry Eastmond, Poetry In Motion finds Najee nothing short of inspiration, as he calls upon a few all-star friends to create a dialogue well worth remembering. Najee’s fourth recording for Shanachie unites him with such dynamic musicians as Will Downing, Maysa, Eric Roberson, Incognito, Bobby Lyle, and Blake Aaron.